Sequencing DNA could get a lot faster and cheaper - and thus closer to routine use in clinical diagnostics - thanks to a new method developed by a research team based at Boston University. The workshop will look at the use of enabling technologies in nano-applications and will discuss areas where key technologies are yet to be established, with the aim to identify gaps in the market where UK companies can invest and become involved. Scientists are reporting development and successful testing of a sensor that can instantly tell whether someone has Type I diabetes. Four new projects, announced today, will develop biological methods that offer a new approach to antibiotic production, power generation for extremely small mechanical components, new classes of medicines and innovative techniques to study cell biology. Carl Zeiss invites all users of ZEISS electron and ion microscopes to enter the first Carl Zeiss Nano Image Contest - Think you've created a Nano-masterpiece? The four winners will receive a cinemizer Plus 3D video viewer from Carl Zeiss. To develop a material with high resistance to wear: that was the objective of a research team. For tools and components specifically subjected to load, their solution delivers an extended product lifespan with better performance characteristics. Silicon carbide is an up-and-coming semiconductor material. In a thesis project, the qualities of the crystals and the epitaxial layers underwent precise analysis. Another project combines the advantages of crystalline thin-film solar cells with a back contact structure. To lower the fuel consumption of airplanes and ships, it is necessary to reduce their flow resistance, or drag. An innovative paint system makes this possible. This not only lowers costs, it also reduces CO2 emissions. In partnership with A*STAR, Fujitsu will provide cutting-edge methodology to drive research for diagnosis of cancer and diseases. By adding a subtle nudge to each of more than 1 billion search requests every day, Google may be steering the direction of public discussion. 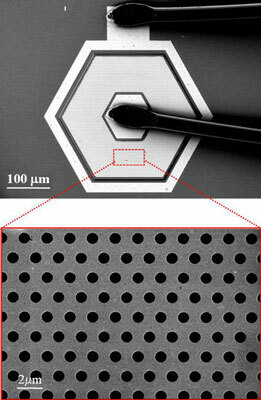 Researchers develop lens-less, gold-covered 'microlens' that enhances imaging signal without increasing noise. At the scale of the very small, physics can get peculiar. A University of Michigan biomedical engineering professor has discovered a new instance of such a nanoscale phenomenon - one that could lead to faster, less expensive portable diagnostic devices and push back frontiers in building micro-mechanical and lab-on-a-chip devices. A new study unlocks the previously unknown structural features that underlie the incredible elastic resilience of fibrin, the main protein in blood clots. 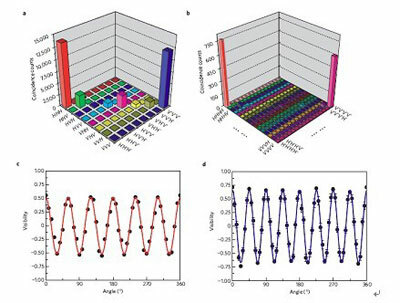 Ten-qubit hyper-entangled Schroedinger cat state was successfully generated recently by a research group from the Quantum Physics and Quantum Information (QPQI) Division of the Hefei National Laboratory for Physical Sciences at Microscale at the University of Science and Technology of China. A team of engineers has created the world's smallest pump. The minute device, similar in size to a human red blood cell, is powered by an electrode made from something that doesn't usually conduct electricity - glass.